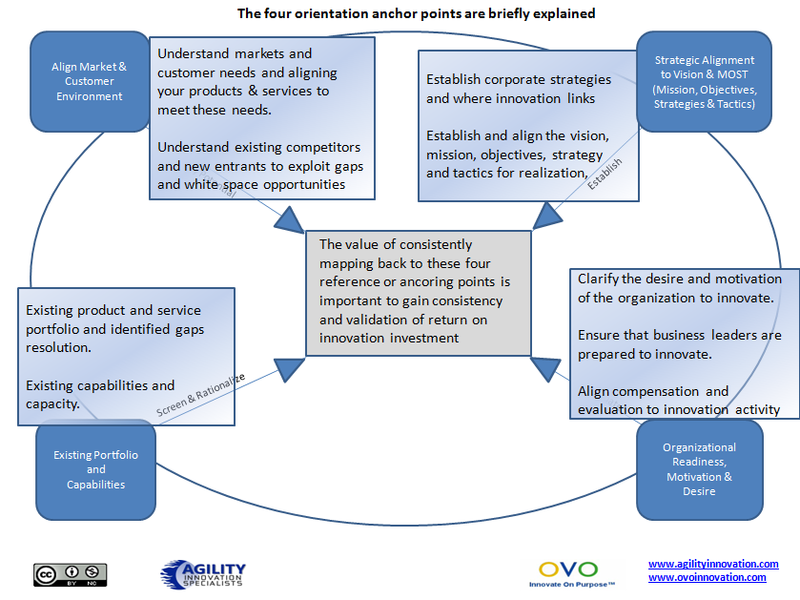 This week a collaborative innovation framework venture has been launched by Jeffrey Phillips at http://www.innovateonpurpose.com and myself, Paul Hobcraft at http://www.agilityinnovation.com. They have opened up a wiki for anyone to join with the intention of building on these frameworks. This is at http://cirf.pbworks.com. This effort is seeking contributions, we want your engagement. It is deliberately open to be used, to be improved upon and to form a platform for a standard thinking through for innovation providing it works under the creative commons license it has. For far too long innovation has been left to chance. 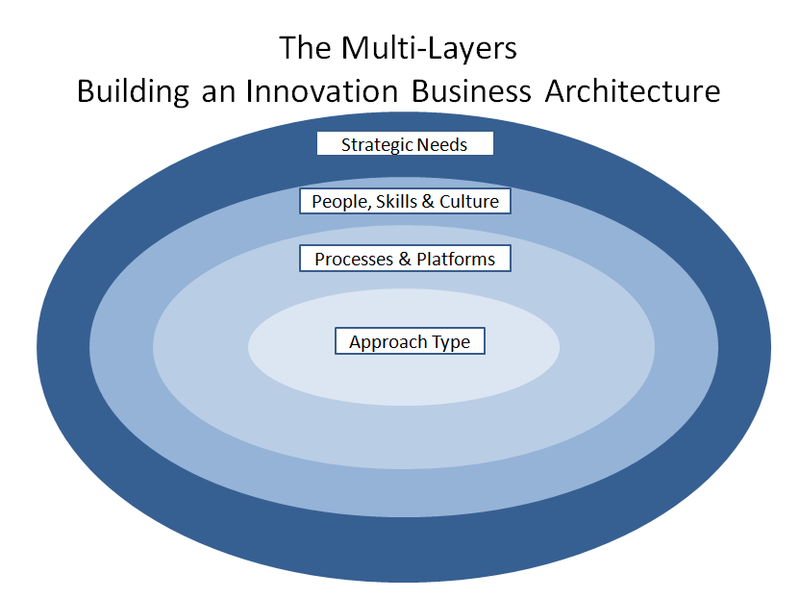 We are interested in explaining the many facets that make up a successful innovation endeavor but it can be extremely tough to capture and explain the complexity of innovation. 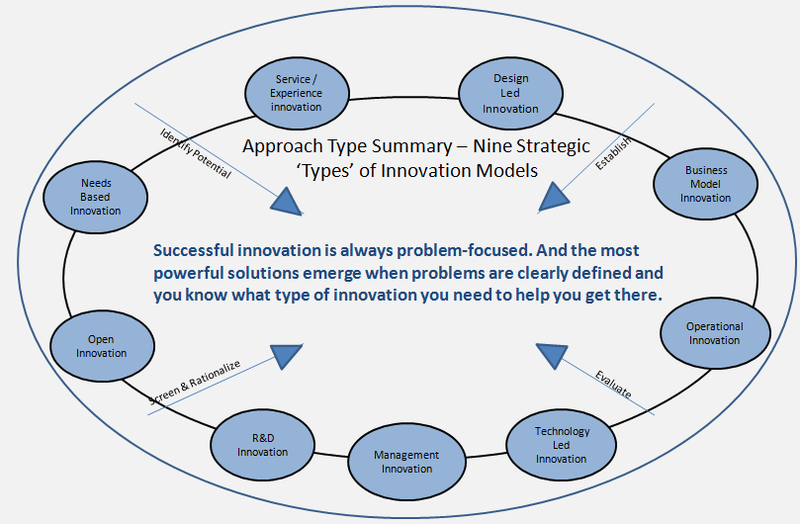 Innovation is dynamic and throwing open this set of models allows for it to be constantly improved for all to benefit. Here are just four of the critical slides from the different decks you can view at slideshare as well as on the two leading innovation sites of InnovationManagement.se, with the opening article on this discussion at: http://bit.ly/ee8ID7nd. These are the multiple layers and should be followed in a systematic way. You work from outside in for building on each to get a more connected result from working through these. Good innovation needs to map back to the Strategy. The corporate strategy and what will enable innovation within the organization need to be considered. Also what this slide shows you is the real value of having what we call as anchoring points, the orientation of what you are needed to map back too with your innovation efforts. 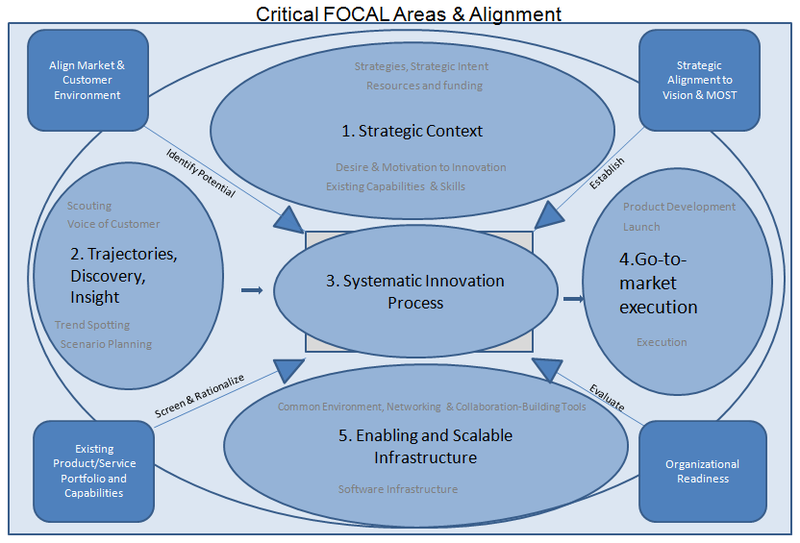 This slide shows the five critical areas that support and sustain innovation. There are ‘musts’ to have and each of these five aspects need carefully thinking through. Lastly, often totally under-appreciated is each type of innovation is different, in lots of ways. You need to consider an approach that aligns to the strategy and you need to appreciate the attributes, skills and understanding of the different innovation types to know what you need to have in place or bridge to deliver against the specific innovation strategy. So often this recognition is never fully appreciated and where innovation really does break down because the alignment is not fully made of matching resources, capabilities with the approach needed to be taken. Knowing the differences and why is vital. Explore these different decks, some of it will seem blindingly obvious, some perhaps not. Come join in the open collaborative discussion on the wiki at http://cirf.pbworks.com and make a contribution or seek an answer.